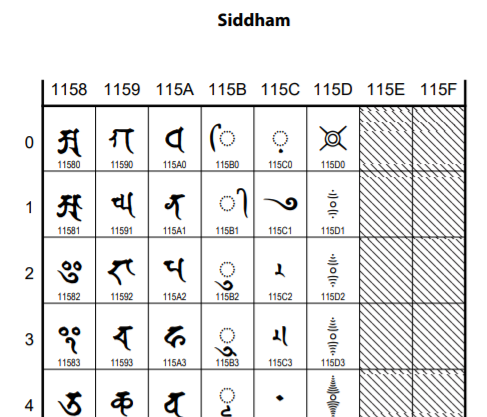 This section provides a quick summary of the Unicode code point block: 'Siddham', which contains 92 code points to represent the Siddham script that is based on the Brahmi writing system. primarily in East Asia. The Siddham script is also known as Siddhamatrka and Kutila. The "Siddham" block contains code points to represent the Siddham script that is based on the Brahmi writing system. primarily in East Asia. The Siddham script is also known as Siddhamatrka and Kutila.